One of the beautiful homes on the outskirts of the Thimble Islands, with intricate stone work along the porch and exterior of the property. 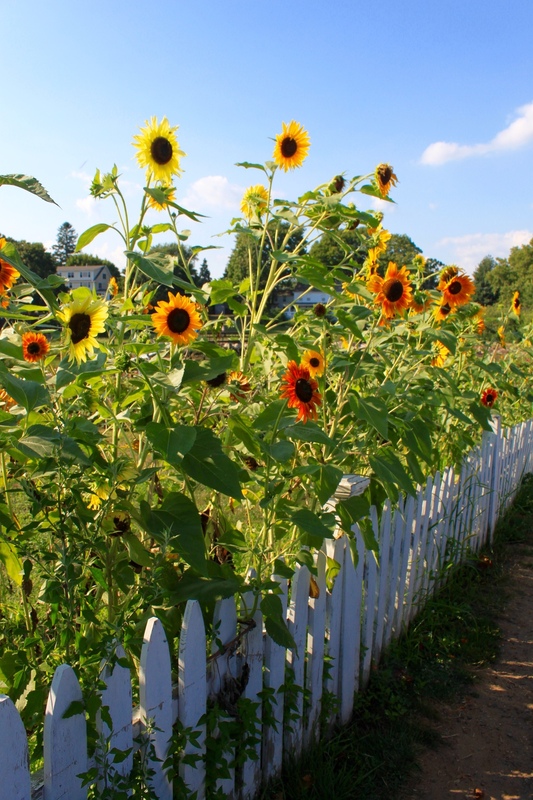 Just east of New Haven, Connecticut, lies the tiny village of Stony Creek (located in Branford). One of the many highlight’s of Stony Creek’s coastal historic district are the collection of pink granite rocks scattered across the harbor, known at the Thimble Islands; in addition to making a great foundation for a summer cottage - the Thimble Island's pink granite stone was also used to construct the base for NY's very own Statue of Liberty! 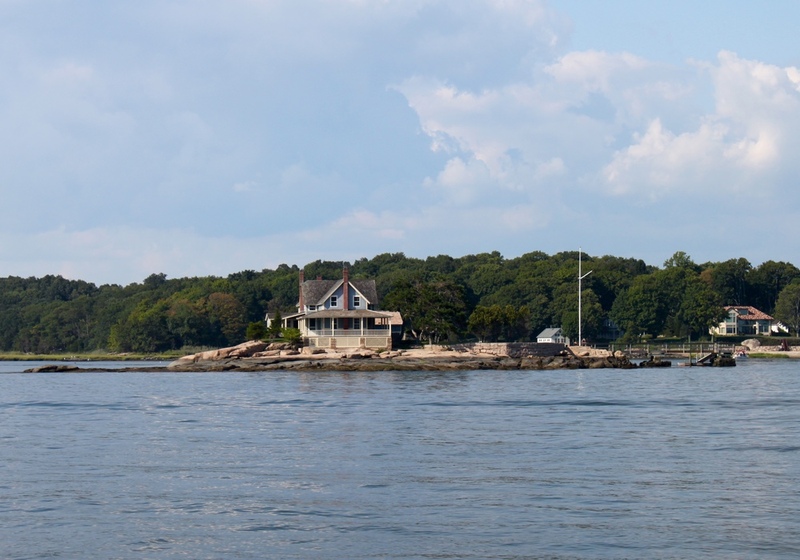 The Thimble Islands are a very special group of islands that vary in size, usage, property value, and history. The first European to come across the islands, was Dutchman Adrian Block, more commonly associated with Rhode Island’s popular destination, Block Island. 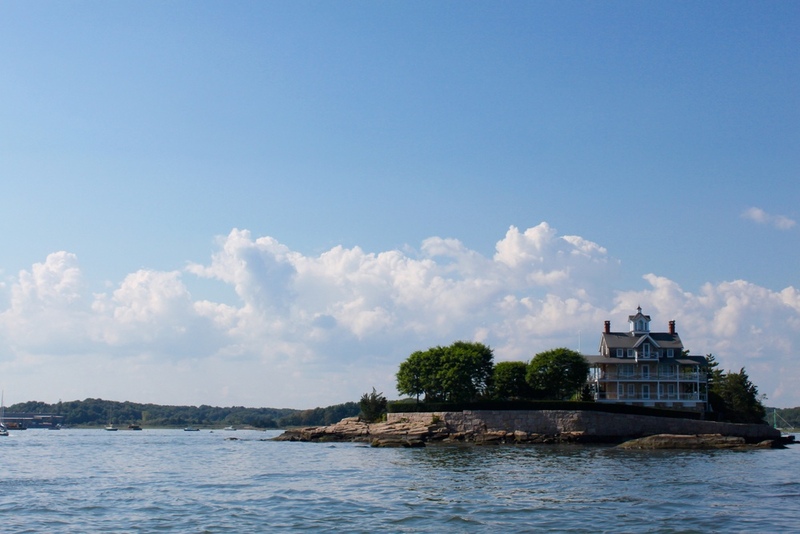 Through the generations, Thimble Islands have consistently maintained a truly New England charm like no other. 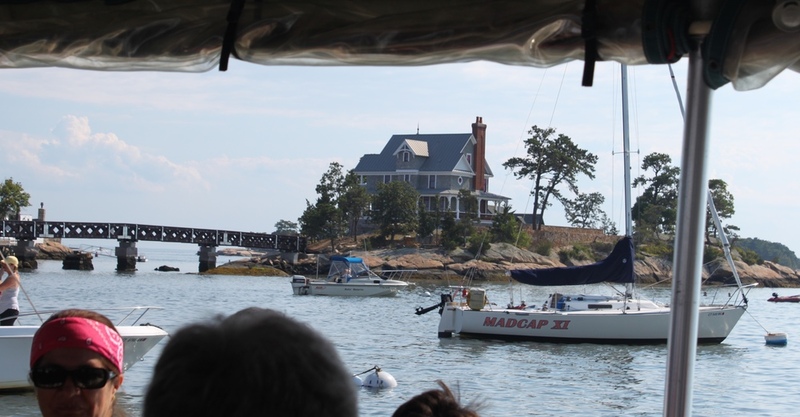 Operating off the end of the town pier on Indian Point Road, the Thimble Island Cruise line takes visiting tourists on a 45 minutes boat tour navigating the shallow waters. Avoiding swimmers, boaters and a heap of paddle boarders, the captain and first mate educate the onboard stowaways with a rich history of the various islands, their structures, owners (past and present), plus lots of fun tidbits thrown in. Picture a leisurely ride in one of Disney’s parks, except instead of taking pictures of mechanical puppets chiming in a high-pitched unison, you’re taking a joy ride on a tiny motorboat photographing multi-million dollar properties. A majority of the tiny islands house single home properties, but there are a few islands that have more than one house on them. One of the more populated islands, Money Island, prior to the turn of the twentieth century, used to have a “thriving” year-round community on it, with a church, general store, post office, and even a single-lane bowling alley (although you had to set the pins up manually)! With names like, Mother-In-Law, Outer, Bear, Rogers, Horse, Cut-in-Two, these islands boast some really fun histories, and are simply fascinating to look at. 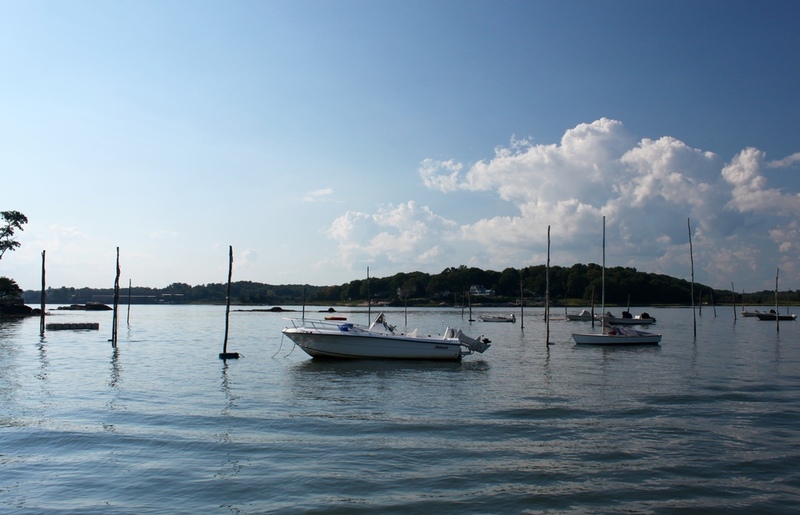 Day dreaming of winning the lottery, we wrapped up the tour and headed back for ice cream at the hole-in-the-wall cafe, Stony Creek Marine & Cuisine. Devouring some well-deserved mint chocolate chip, we briefly contemplated buying one the cheaper islands currently on the market: a single rock with a wooden gazebo built on it for just under $200,000.00… but the catch is that - you can’t build on it! The current owner occasionally ties his houseboat up the small dock and hangs out in the gazebo during the summer months. Without giving any more of the tour away, the most expensive island property sold for $22 million not long ago, and is one of the craziest private oases we’ve seen! 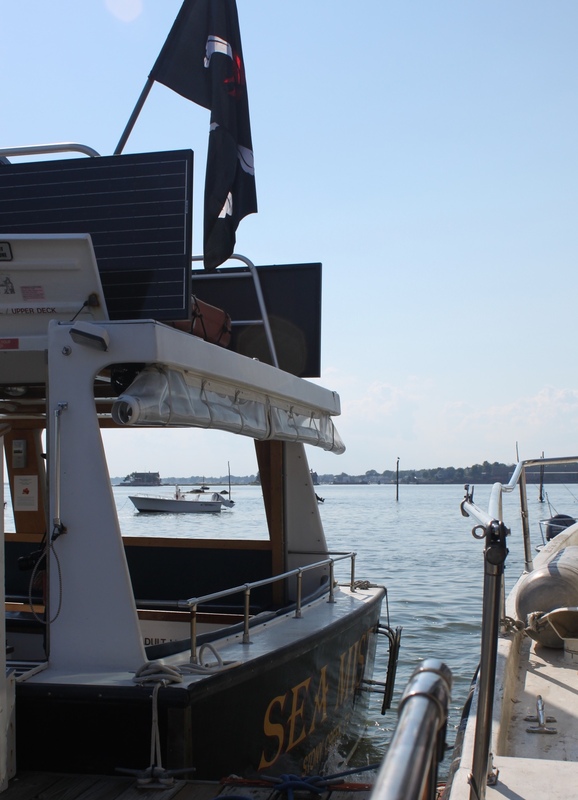 Here’s a link for the tour company, Thimble Island Cruises, so next time you’re stuck on I-95 on your way back to the city, need a quick hour break on the water, and don't mind spending $12.00, check out their schedule to learn a little bit more about the nutmeg state’s coastal lineage.